Chitwan is well known by Chitwan National Park which is one of the best tourist destination in Nepal. However, there are much more to explore in Chitwan beside the national park. Here are the top five interesting places to visit in Chitwan. 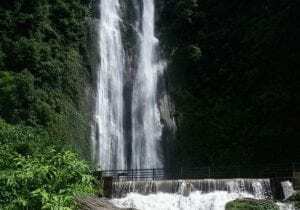 Lamo Jharana as the name suggest is nearly 60 meters tall waterfall situated in Muglin-Narayangarh Highway in Chandi Vanjyang. 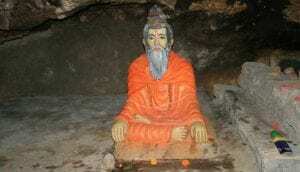 It is a just 20-minute walk from the Jalbire temple. It is one of the most interesting place in Chitwan if you really do enjoy the waterfall. A naturally made small pond alongside the waterfall is the best place to recreate with the water. Since the water comes from such height, the force and pressure of water are such that it creates a strong wind. Besides, there is Gurung village where you can explore their cultures and traditions. Bharatpur is the headquarter of Chitwan which is the 5th largest city of Nepal. It is a commercial city for the central south Nepal. 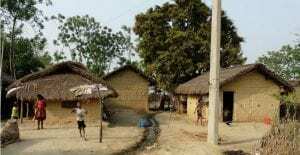 Bharatpur is situated in on the bank of Narayani river that apart it from Nawalparasi District. The bridge in the Narayani river is best to visit in the evening where you can get the stunning view of the sunset. You can have a pleasant moment on the bank of Narayani river. 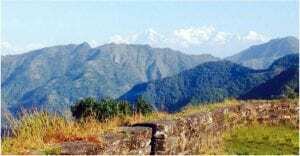 If you are very much interested in trek then, Chitwan Chepang hill trail is one of the best treks in the Chitwan district since it offers a combination of cultural and sightseeing experiences. On the way to trek, you can see the community of Chepang who live in the mid hill of Nepal. You can also enjoy the homestay services in the Chepang community that helps to explore their cultures. Generally, it will be 5 days trek. If you are Hindu, then Devghat Dham is one of the holy pilgrimages to visit in Chitwan. It is located at the junction of Seti Gandaki and Krishna Gandaki, just 7 km from the Narayangarh. In Devghat, there are various gods and goddess idols, caves likeSita’ss cave, Bashistha cave and temples like Radha krisha temple, Laxmi Narayan temple and Bishwo Shanti Dharmashala. There are various ashrams like Mahesh Sanyas, Hari Hara, Sharana Gati, Galeshwor, Radha Sarbeshwor Bhajan were different religious activities are performed. Exploring the new cultures and traditions can be the best thing you can do in your tour. In chitwan, you can go for tharu village tour where closely observe the community of tharu and their culture, their lifestyles, their activities and their traditions. Chitwan is especially famous for Tharu culture. Even in the Chitwan national Park, tharu cultural and dance program are being organised. These are the top five places to visit in Chitwan. You may be wondering why Chitwan national park is not listed. This is because Chitwan national park is the most visit place in Chitwan. In fact mostly, people visit Chitwan for this national park. Besides it, they don’t know other places. So, in order to promote rest of the places, we have included the places beside the Chitwan National Park. Chitwan Chitwan best places chitwan top five places five places to visit in Chitwan Nepal top 5 places in Chitwan where to visit in Chitwan?